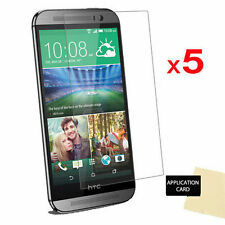 This screen protector is custom designed specifically for the All New HTC One 2014 Edition a.k.a M8, 1st released March 2014. 1 x Applicator Card. WILL NOT FIT THE OLDER HTC ONE 2013 VERSION ! These are HIGH quality premium screen protectors for your device. ► iPhone 5 / 5s / SE. Featuring stitched 3-Stripes on the front and back, the sleeve is made of faux leather with a magnetic closure strap embossed with a printed logo. A pocket in back stow an identification card or credit card. 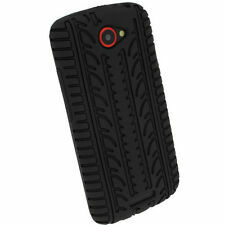 Custom made for HTC One S with our classic tyre tread design. Produced from superior quality, shock absorbant, ATS (anti-static) silicone. • Black Croc skin design. Constructed from a slim fit hard plastic inner shell with an exterior cover of PU leather this case provides optimum protection and convenience for your device. A stylish protection option for the back of your device. Screen protectors. Ergonomic design and tailored to fit the specified model. Easy to fit. Allows access to all buttons, headphone jack and charging port. Perfect protection from dust, scratches and falls. An initial purpose tight fit molds to your phone ensuring that it does not fall out by accident. The pouch is made of durable leather with the edges of the case sealed together and then stitched over for greater durability and improved edge protection. HTC One M9 Case Wallet S. Travel light and smart. The Wallet S™ Case for the HTC One M9 is an intuitive way to protect your phone and also have all your daily essentials in one place. Compatible with HTC One M9 Only. 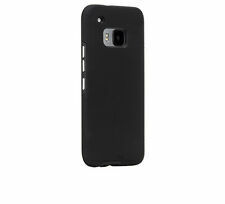 Custom made TPU case for HTC One S. Made from durable TPU. 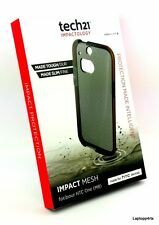 Supplied with stick-on screen protector for total protection to your HTC One S.
• Red Croc skin design. Constructed from a slim fit hard plastic inner shell with an exterior cover of PU leather this case provides optimum protection and convenience for your device. A stylish protection option for the back of your device. Perfect for jogging, cycling, gym, beach etc. Secure adjustable armband designed for arms approx. 24cm and approx. 33cm in circumference. If your arm is bigger than this you may wish to consider purchasing this iGadgitz Armband Extender Strap. 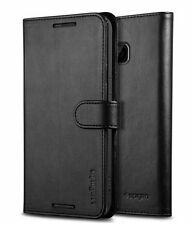 IGadgitz luxury soft genuine red leather case for the HTC One S. Designed so that you never need to remove your HTC One S for daily use. Supplied with stick-on screen protector. Constructed from a slim fit hard plastic inner shell with an exterior cover of PU leather this case provides optimum protection and convenience for your device. A stylish protection option for the back of your device.